Place It! is a series of community workshops that invites the public to reflect upon, explore, participate in, and better comprehend the look and feel of the city through interactive models. Over the past three years, Los Angeles architect and planner James Rojas has led over 200 workshops in diverse communities across the country, involving schools, museums, community groups, city agencies, and more. 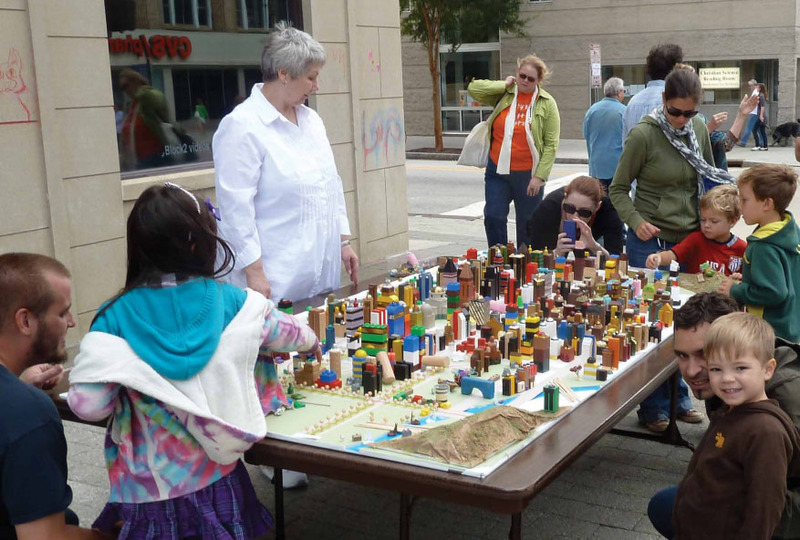 He starts the workshops with a basic model of the local city, crafted from Legos, buttons, other toys and raw materials, and then invites workshop participants to add, subtract, and rearrange elements to envision their ideal city. Participants in a recent workshop in Raleigh, North Carolina, came up with proposed improvements including new grocery stores and farmers markets, outdoor movies, and improved biking conditions.